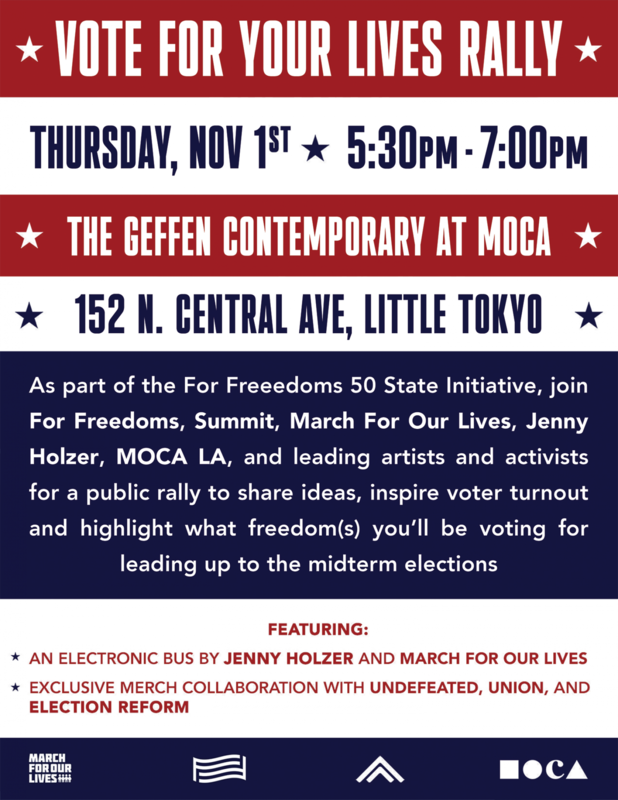 Join For Freedoms, Summit, and March For Our Lives, for a public rally to share ideas and inspire voter turnout leading up to the midterm elections. The event includes an electronic bus by Jenny Holzer & March For Our Lives and features Aja Monet, Alex Ebert, Beau Sia, Jammal Lemy, Kristina Wong, Madame Gandhi, Muna Malik, and Philip Agnew, among others. Join For Freedoms, Summit and March For Our Lives, for a public rally to share ideas and inspire voter turnout leading up to the midterm elections.